We are a local windows coverings business that supplies and installs quality blinds, awning and shutters in the Newcastle region. Our specialty is plantation shutters in new homes and large renovations. Offering the right advice and huge range of styles available professionally installed. Free measure and quote. At Shades we offer unlimited options to cover your windows beautifully, at affordable prices. From contemporary to traditional we have a solution for you.We service the Wyong Shire, Central Coast, Newcastle and The Hunter Valley. We are a fully mobile service, showing the products in the comfort of your home, allowing you to see colours with your wall colours. At Open, we manufacture Australia's most popular brand of custom made shutters, louvres and screens. For over 20 years, we've been the first choice of architects and designers in timber shutters, louvres & screens. We're Australia's most awarded shutter maker and we make it all in NSW, on the Central Coast. You can mix and match from our range of components to make the product that's right for you. We are proud to be the leading manufacture of the best Aluminium Plantation Shutters in Australia. Our Aluminium Shutters are made by Australians for Australian conditions. Add value to your home with Aluminium Plantation Shutters from Classic Blinds & Shutters. We’ll take you through the options to suit you, your home and your family. Whether you want Aluminium Plantation Shutters in your outdoor area or the benefits of internal window Aluminium Plantation Shutters for style and insulation. Classic Blinds & Shutters Newcastle share advice and expertise to make it easy for you to get the Plantation Shutters you want. For beautiful, custom-made blinds and shutters in Newcastle, Lake Macquarie, Port Stephens, Maitland and Cessnock, call Maxview Blinds. We come to you for a free style consultation and free quote. Your new window coverings are then tailor-made to fit your home, and we install them for you. We do it right, first time. And we tidy up after ourselves. Leaving you with your windows, and your home, looking better than when we arrived. Roller blinds or wooden shutters such as plantation shutters not only help brighten up your home and refresh its look but keep out the heat or cold, too. Call Maxview Blinds for your affordable new shutters and blinds today! 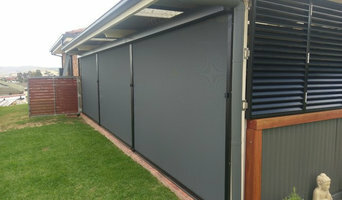 At OpenShutters, we offer you Australia’s most popular brand of custom made shutters and screens. We are also Australia’s most-awarded shutter maker. With our ongoing innovation and development, we assure you of outstanding choice and quality. 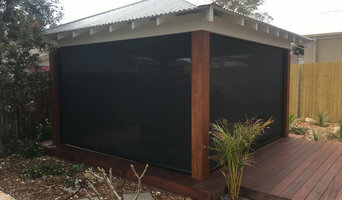 Blindesign Hunter Valley are Blind, Awning and Shutter Specialists providing a wide range of internal and external window treatments. No matter your budget we will work with you to find the perfect solution for your space. We are a small family run business who offer a personal touch to your shopping. Our mobile showroom will visit you in the comfort of your own home or workplace to discuss your window furnishing needs. We are located in Maitland, NSW and service Newcastle and the Hunter Valley Region. Window treatment professionals, designers, vendors and manufacturers often specialise in different types of window coverings. Some handle shutters and/or blinds, while others work primarily with fabric treatments such as swags and valances. Still others focus on high-tech automated shades or louvers. But regardless, your Newcastle, New South Wales pro can advise you on the pros and cons of the material and style that interest you, as well as help you determine whether prefabricated window coverings are the best choice for your space, or whether custom versions would be ideal. If you are looking for a more tailored result - designer curtains, custom shutters or other bespoke curtain styles - A window treatment professional might work closely with a Newcastle, New South Wales interior designer or house decorator to widen your options. Here are some related professionals and vendors to complement the work of shutters, blinds & curtains: Windows, Interior Designers & Decorators. Find a window covering professional on Houzz. Narrow your search in the Professionals section of the website to Newcastle, New South Wales window coverings. You can also look through photos to find examples of New South Wales window treatments that you like, then contact the professional who worked on them.